Keighley have signed forward Jack Coventry from League 1 rivals Hunslet. 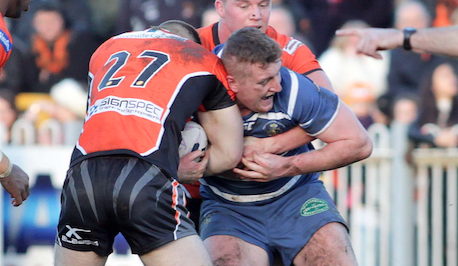 The front-rower, who can also play at loose forward, arrives at Cougar Park following a two-and-a-half-year spell at the South Leeds Stadium. Coventry came through the ranks at Featherstone Rovers and played regularly against Keighley’s reserves. He made 17 appearances for Hunslet in 2017 but found chances limited last season, playing just eight games. The Cougars have secured Coventry’s services for 2019 and he will link up with his new team-mates when they begin pre-season season training in November.